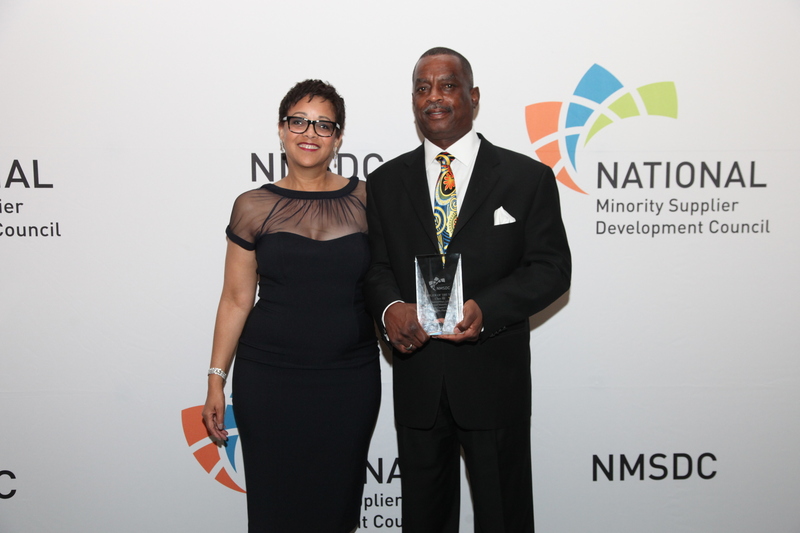 Chemical management firm recognized by the National Minority Supplier Development Council. ChemicoMays (Chemico), a Michigan-based chemical management firm, today announced it has been named a National Supplier of the Year by the National Minority Supplier Development Council (NMSDC). Given annually to only four of more than 1,750 NMSDC members, the award was presented at the 2014 NMSDC Conference and Business Opportunity Fair on Wednesday, Nov. 5, in Orlando, FL. Nominated by the NMSDC, the award recognizes business acumen and excellence in community service, which speaks to Chemico’s successful implementation of programs designed to expand opportunities for minority employees, while also providing value-added benefits to its corporate customers and communities. More than 6,000 corporate leaders, minority business owners, supplier diversity professionals and guests from around the world attend the NMSDC Conference and award ceremony every year. Since its inception in 1989, Chemico has been known primarily for providing chemical management services; however, the company has recently begun to expand its list of offerings to include a broad range of facility management services. Dedicated to embracing a “green” approach, this growth will include energy management, operational maintenance, custodial services, waste disposal and other technical services, achieved through sustainable solutions that produce positive environmental results. In doing so, Chemico hopes to assist clients in focusing more efficiently on their business, instead of facility needs. As additional services undoubtedly equate to an increased workload, the company also plans to provide more opportunities for minority employees through newly generated positions. Chemico specializes in providing an integrated solution for the chemical lifecycle – from sourcing and procurement, to lean hands-on management, through environmentally conscious disposal. Founded in 1989, the organization has continued to experience positive growth year over year since its inception. Chemico serves customers across a variety of industries including automotive, aerospace, biotech and pharmaceuticals. The company operates more than 50 sites throughout the U.S., Canada and Mexico. Chemico’s past and current customers include General Motors, Fiat-Chrysler, Ford, Eaton, Toyota, Boeing, Amgen, Delphi and Honeywell. For more information, visit http://www.chemico.com. The NMSDC Network includes a National Office in New York and 24 affiliate regional councils across the country. There are 1,750 corporate members throughout the network, including most of America’s largest publicly-owned, privately-owned and foreign-owned NMSDC companies, as well as universities, hospitals and other buying institutions. The regional councils certify and match nearly 13,000 minority-owned businesses with member corporations that want to purchase their products, services and solutions.